5 HP 3-seat Torpedo "Trèfle"
A spark of imagination drove the little 5HP Type C in 1922. With the nickname "5CV Citron" (5CV Lemon) a play on the brand name and colour. The most famous version Was nicknamed "The Clover", this 3-seater Torpedo is remembered for its unique, central back seat, just like the 3rd leaf of a clover. The flight of the "Little Citron"
With a pointed back, an unusual colour and several nicknames since launching in 1922; without a doubt, the Citroën Type C, 5HP, or "Little Citron" had everything it needed to be a popular car. Following the 10 HP Type A, this second model in Citroën's history was an immediate success with young people. The range quickly expanded with several versions. The "Clover" remains the most iconic, named after its unique back seat design, with two seats in front. A clever way for this 3-seater Torpedo to optimise the space in its angled shape. In 1923, a 5HP cost 10,800 Francs. 100,000 were manufactured each year. 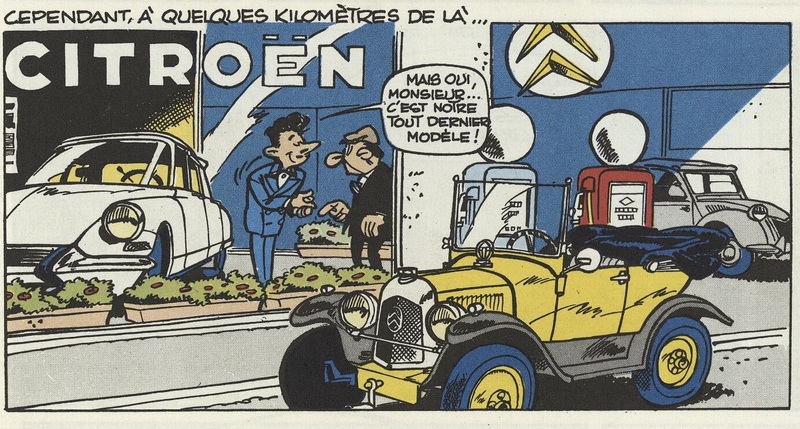 However, the great story came to an end in 1926, when Citroën resumes its policy to create unique, high-class models. The creation of the C4 Cactus is also based on the research for the reduction of consumption and emissions. The C1 embodies the happy spirit of Citroën. Its bright colours and rounded edges echo back to its glorious ancestors.